One will never go hungry along Nathan Road, Hong Kong. 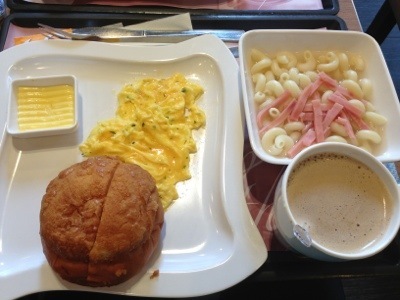 Sharing with you some snaps of food we enjoyed during our 5 days stay. Gong Cha – We ordered Taro and Black Tea. C and I thinks that it needs a little more flavor and sweetness, but it might be just us asking the wrong mix? They speak very little English we had to give our order fast (long queue behind us). Almost everyone walking with us had this particular bubble tea in hand. Food Corner – Located just a block away from our hotel this food stall was a busy one, they had siomai, fish balls, beef tripe, pork innards, octopus meat and a whole lot more. 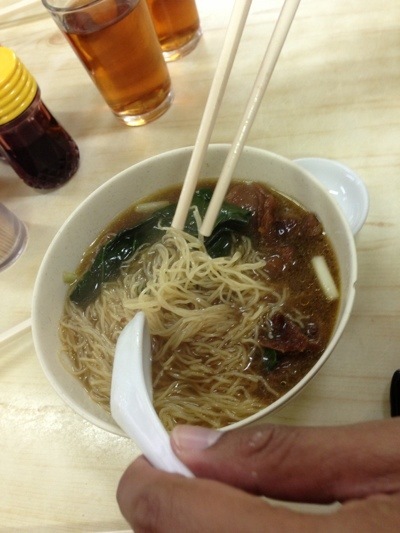 V’s favorite food place along Nathan Road. 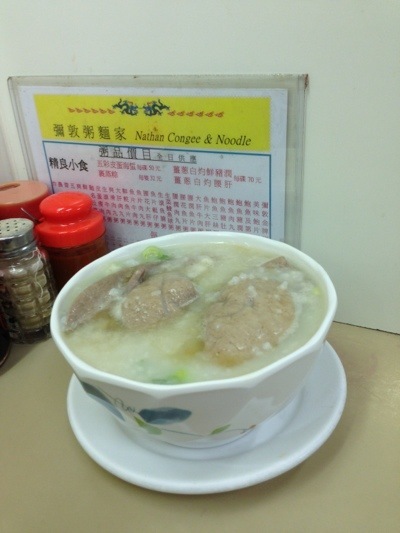 We had a long walk to reach Nathan Congee & Noddle place for breakfast. Food on Stick – We passed by this place and it had a long queue which tempted us to join the crowd as well. 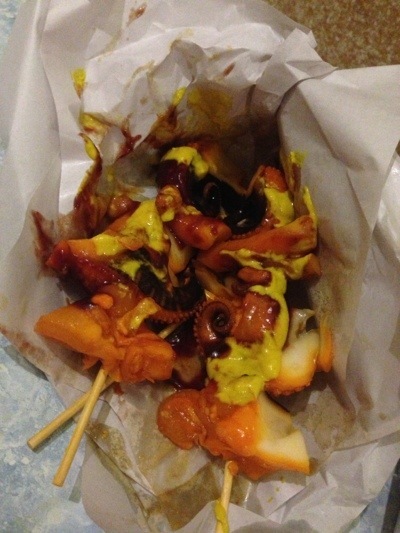 Sold here are Squid/Octopus and Pork innards on stick served cold with mustard and what I think is hoisin sauce. Taking photo was not allowed, good thing I was able to snap a photo of the stall name before they opened. Cafe de Coral – We discovered the restaurant on our last day located in the 2nd floor of a building across the Food Corner. As much as I want to explore the food scene along Nathan Road it was quite challenging with a baby who refuse to sit on the stroller or carrier and who was not happy on a crowded place. 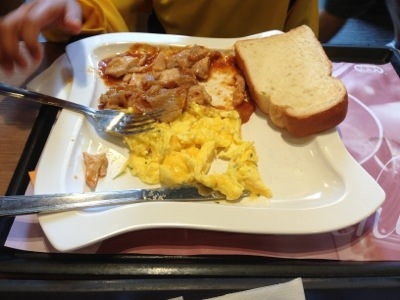 When the kids are older we will go back and try to eat at each food stall along Nathan Road.